The giant Betelgeuze lost in the last 11 years 15% of its diameter. Astronomers don´t really know what that could mean. Some think its periodic up and down, others think it could be the start of the final core collaps and an indicator for the soon coming supernova. Another interesting fact is, how Betelgeuze lose matter. Evry year Betelgeuze lose as much matter as the mass of earth. Till yet scientists believed, that this is a constant process triggered from the strong solar wind. But recently they discovered, that Betelgeuze lose matter in form of huge bubbles. That bubbles can grow bigger than the star itself. It will explode in the next thousand years. I just want like to see 1 supernova. They are 1 every 2 or 3 centuries (visible without telescopes). The light of that explosion will be bigger than the light of a whole galaxy, they will be visible both in the night and in the day (becoming the second object more visible in the sky after the sun). You can read in the night with the only light of it. 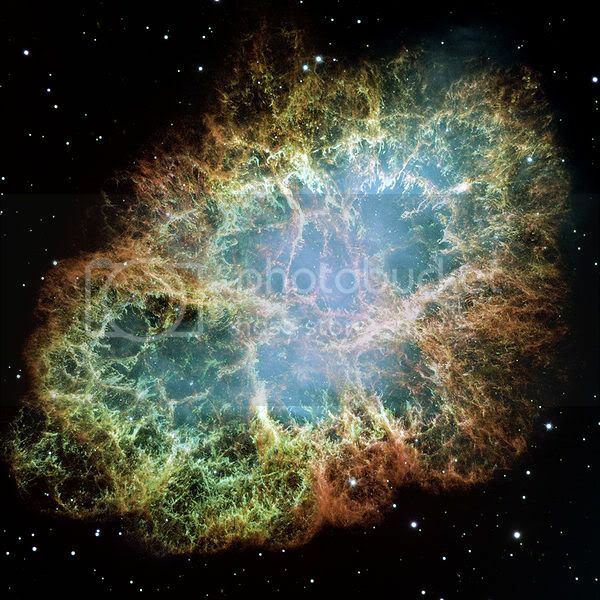 A supernova is generally visible for a few moths. Yes, it would be cool if Betelgeuse went supernova! I'd like to see that, and how it would look in the night. I'm sure it will be fantastic. The only problem would be the appearance of it in the other hemisphere. No, it wont turn into day. Betelgueze is too far from us... Or is it? But it wont turn into day. Any supernova in this galaxy will be less visible only of the Sun and the Moon (I was wrong before ). It will be enough powerful to cast shadows in the night. I read in the Astronomy Magazine, if you look at it you will instantly go blinded. It is the light of the full moon into just one point in the sky. It'll be like Alaska! Yay! 24 hour "sunlight"... I should say light. You're gonna need those sunglasses! rofl! Daylight at night! Some kids (young) won't need their nightlight no more! I just hope it explodes in my lifetime. 1987A? Pffft. 2009/010/011/012... AWESOME! I've gotta see that! The people after that'll be like "I wish I could have saw that". Again, there won't be so much light. The only object that can create day on Earth is Sun. It'll still be the best supernova since... EVER!